Which new Blogger theme will you choose? Other than the fact that the names sound like they should be fancy 90s clothing brands, I genuinely like all the four theme styles. Blogger now finally has some themes that follow the minimalist approach and don't come with a million caveats of what doesn't work. Having said that, there are a couple of areas that don't work as expected and I'm hoping that those are just bugs that they are working on. For now, let's review these themes. Note that I'm focusing more on functionality and ease-of-use. Minimalist Style Design: Almost all the new Blogger themes sport hamburger style pull-out menus and overlays. These designs are aimed at the fangirl/boy aspect of a user rather than a garrish commercial look that used to be the case in the earlier models of Blogger themes. Sharing: Blogger has finally caught on that people want to have easier and prettier ways to share their blog. 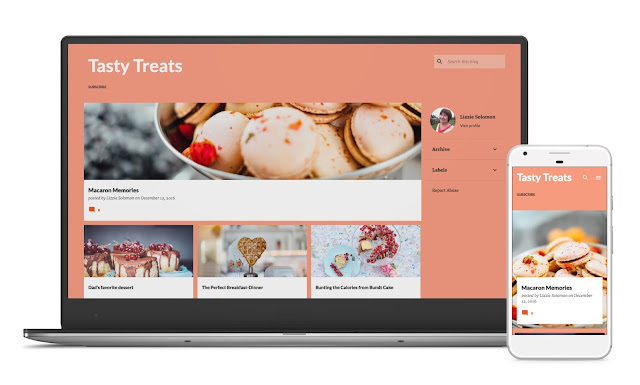 Sharing options are probably the main reason why you may want to switch to one of these new template styles. It is easier, more available, comes native to each template, and is well integrated into not only the main posts page but also in each post entry. 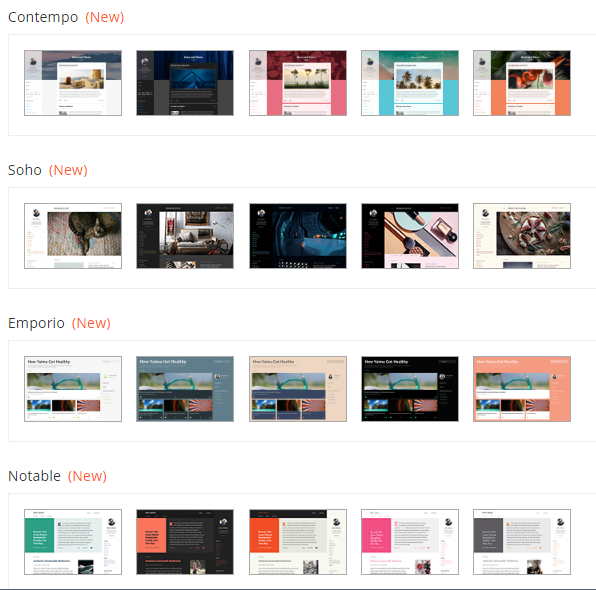 Subscribing: These new template styles also favor the subscriber-happy users. Earlier, you had to contend with a clunky subscription widget that was confusing and scary to the average user. In the new themes, a, the subscription widget is automatically enabled (but hidden from view when you first activate one of these themes), and b, it is natively integrated with these themes which is a huge blessing compared to the veritable jumping through hoops you had to do to have people subscribe to your blog in the dynamic views theme. Featured Post: The concept of featured posts has been very well integrated in all the four template styles. The themes come with a pre-installed featured posts widget which is defaulted to pick your latest post to focus on at the top of the page. You could alternatively pick your preferred post from whenever and put that right at the top as well. Popular Posts: Another cool widget which was hard to integrate automatically into Blogger earlier is the Popular Posts gadget that now comes pre-installed and shows up under your post entry. You can change the settings to show popular posts from a particular time period, like last year, last 30 days, all time, etc. You can even choose if you want an image and a snippet to accompany it. Fanning my face. Phew. Changing colors & styles: Other frustrating thing with Blogger themes used to be changing the colors and styles of widgets that have been installed. Either you got lucky with the widget or had to use CSS to modify the fonts and/or colors on your page. NOT with these four themes! Every time you add or remove a widget, it throws up options to change their styles and colors in your Blogger Template Designer, keeping all the customizations in one place and making your life hella easier. 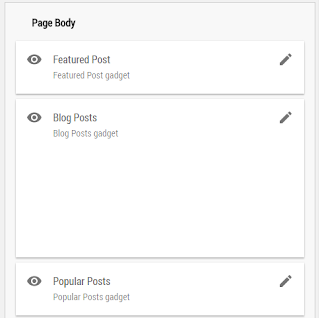 This means that the widgets are integrated into the blogger theme designer and is available on the layouts page as well. Good job Google! The advanced section of the Blogger Theme Designer now has an extended menu of color and styling options for almost every part of a post page (not just the main page), including header, footer, blockquote text, and captions. Love! Better integration with the native Blogger platform: What I mean by this requires a long-ish explanation. 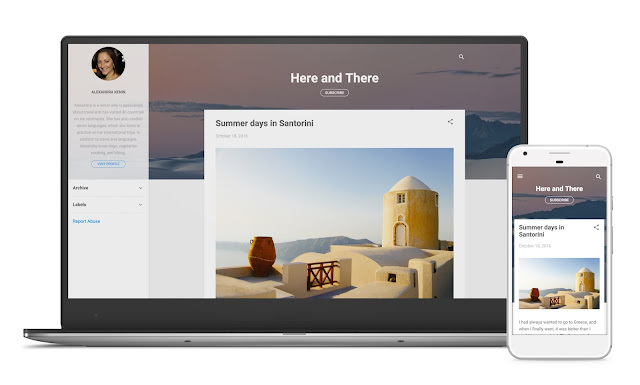 With these new themes however, they integrated the 'Download your theme' feature whenever you switch over to another theme - which means, when you change your theme style, the layout widgets also change to reflect what the preview looked like. And, you get to download your previous version, just in case you don't like the new one. You could download your theme earlier as well but now a warning appears, so you are not making changes willy nilly. Plus, the available Blogger widgets/gadgets all work on all the four new theme styles. Layout: The 'Layout' page is now more organized and easier to understand with understandable iconography and tooltips. A subtle but effective change. Kudos Blogger team! Mobile Portability and Responsive web design: It goes without saying that this is something that these themes have got it right! Like, it's so well integrated, it makes me love it more and more as I keep using it. 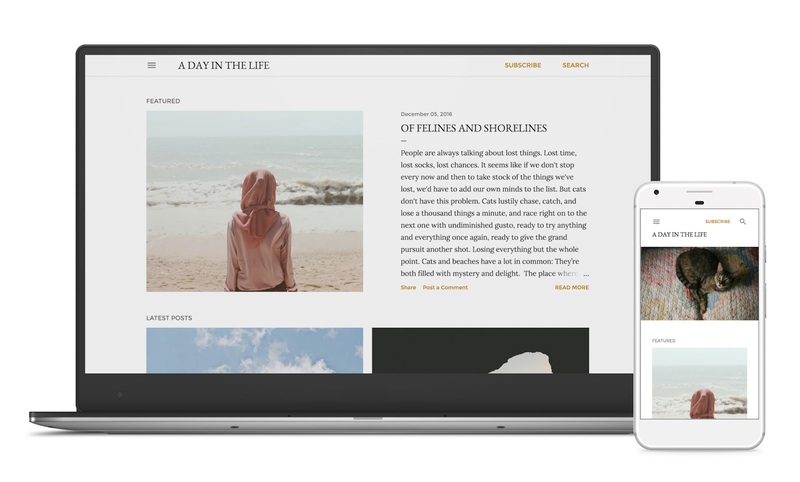 Considering how you have to dig through the deep recesses of the Internet to figure out how to customize the mobile version of your website, these new Blogger themes are a blessing! Other special mentions: The fixed top navigation bar that follows you as you scroll. The blog title text changes sizes very easily to be unobtrusive to the reader's eyes as they go down the blog's content. Twitter Cards: Though they finally figured out sharing options with these new Blogger themes, they seem to have now forgotten about Twitter Cards functionality. 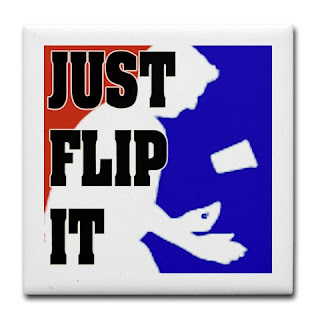 Twitter Cards do not work at all! Any meta tags you throw in there won't work. I am hoping that this is just a bug, and needs a simple fix, because this here is a huge loss otherwise. I haven't experimented with other social media meta tags yet but this was the first major snag I encountered. UPDATE (July 24, 2017): Looks like Twitter cards do work after all. 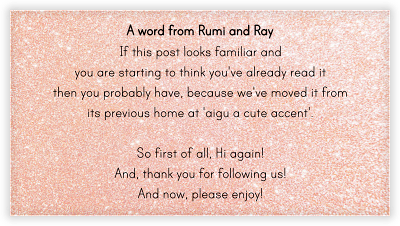 It's possible that I did something stupid with the highly customized code for the blog but it seems to be working for our new home at rumiandray.com. So yay! Navigation to move from post to post: Currently when you are reading a post, you can't seem to jump to the next or previous post unless you go back to the main posts page. This is one of those features that is very well done in the dynamic views templates, complete with keyboard support using arrow keys to jump from post to post and navigating the entire blog without ever touching your mouse. Not comparing (yes, comparing), just saying. Blogger Header is not a link (gasp): A small fix but an important to consider. Clicking on the title of a blog in order to go back to the main landing page is usually as basic as a feature as can be, but it isn't available in the new Blogger themes. Again, I think it's a bug and hopefully, an easy one to fix. Number of Posts per Page: Keeping to the minimalist idea, all four of these new Blogger themes show a very limited number of posts on the main page supplemented with a discreet 'Older Posts' or 'More Posts' link on the bottom right corner of the page for the user to click on. Now, no matter how many times you tinker with the 'Blog Posts' widget on the Layout page to increase the number of posts you want to see (so far, I have seen five to six posts that can fit in one page at the most) per page, this does not affect the page at all. I dug around some more and found out that this is because the div container that holds the posts to show has a pre-programmed set height. Which means that it can only a few posts within that height limitation. Pout. I am sincerely hoping this is something that they can fix so that the setting on the 'Blog Posts' gadget overrides this height limitation. Fingers crossed. Search: Another point of comparison that needs to be brought up is the search functionality. This is a ranting point for me when it comes to Google products. For a search company, there is a severe disconnect in the products that do their search functionality well. The best in-blog search functionality I have seen is in the dynamic views template. 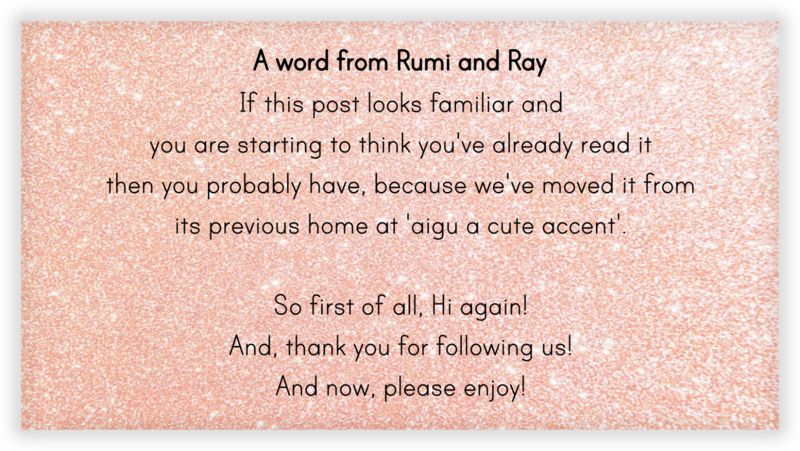 It, in fact, was one of the few reasons that made Rumi and I stick with our dynamic views template for over a year. The 'search bar' in that template supported autocomplete, preview (with image!) of the search results within the search menu, and even a partial word search! In these new Blogger themes, unfortunately, you need to have exactly matching whole words in the search box and even then, you can't figure out how many search results it really matches to. It also doesn't consider labels as keywords that could be searched for. Bummer. The 'About Me' Widget: If you notice the style of these four new Blogger themes, the focus is on the personal aspect of the blog owner - which I love, but what it is a little confusing is the sole use of the 'About Me' gadget to do so. Don't get me wrong, it seems quite obvious why they would want to leverage the 'Profile' gadget (what can also be called the 'About Me' gadget) as developers. 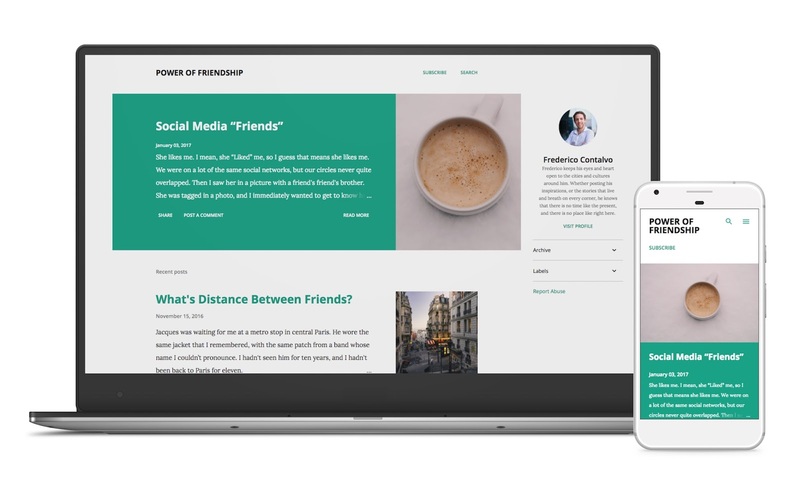 However, it doesn't support those blogs that have connected their Blogger to their Google+ profiles, which is ironically incentivized in other parts of the Blogger platform. I wish they have a seamless integration for the Google+ connected blogs as well for these new themes. Let's look at the Theme Templates! Meant for people who type out short scribbles of their thoughts or anyone looking for a text-focused notebook-style theme. 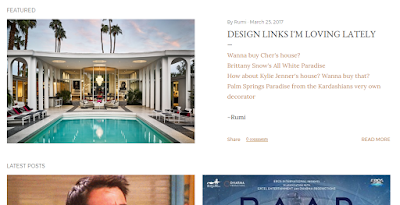 The Notable Blogger theme does a good job maintaining ample white space with large text sizes keeping the focus on the text content. A hamburger style hidden pull-out menu allows the blog content to spread out comfortably across the screen and dominate the reader's mind. The sidebar is placed to the right and overlays over the site content once you hit the hamburger menu on the top right corner. It also applies a gray tinge to the rest of the blog when the hamburger sidebard menu is open which highlights and focuses the sidebar content. I like that the focus is on the post blurb/snippet and the 'one post summary per row' makes the user go browsing (and scrolling) more and more to find the content that really catches their fancy. Other than the featured posts, I find the images on the rest of the posts quite small in size for the content. Also, the Notable Blogger template does an added restriction for a blogger who has to find images which won't look odd in the square preview box. a) when you mouseover any post, it shows you all the labels associated with the post and direct links to them. So, if you pick this theme, you would need to be smart about your labeling and not have ridiculously long lists there. b) The post opens up no matter whether you click on the summary, image, or the title, unlike the other new Blogger themes. The sidebar is static and placed to the right. This theme might be perfect for those who want to add many funky widgets on the sidebar. Since the sidebar doesn't follow the user as they scroll down, it could feel like a waste of space on the right for the below-the-fold content. Other than the featured post, the rest of the posts are fit into a square grid style format which fits more posts per page when compared to the other new themes. Along with the Soho Blogger theme, Emporio does not show the text snippet on the main page. Not my personal preference, but perfect for image-focused blogs. 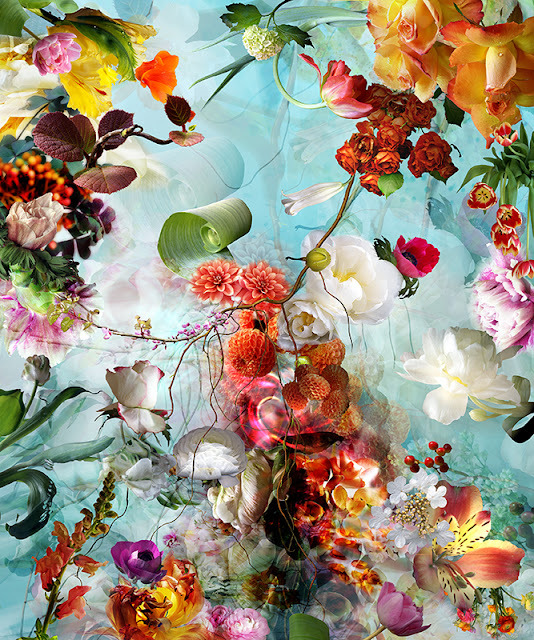 I love that the Soho theme has a long banner image that runs across the top of website. Even though it appears as a highlight of the above-the-fold content, it's actually a background image and with some creative thinking can really get some interesting looking blogs. I also love that it uses the background image feature in blogger which is sadly underrated. This is the only theme of the four Blogger templates that where the posts are spread out in a column-wise grid but maintains the aspect ratio of the post's images. For bloggers who have content that focuses on both text and photographs, this is a great theme to choose. I just wish the theme also allowed text snippets in the post summary page. Similar to the Notable Blogger theme, the focus of this theme is on the text aspect of a blog though it is comparatively more picturesque. There is a big banner image that runs across the top of the blog header and the featured post also focuses on the image. 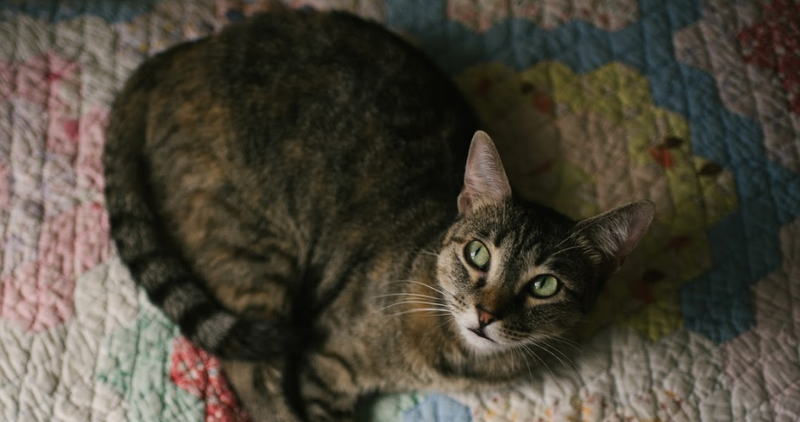 However, for the rest of the posts, the thumbnail images are quite small. 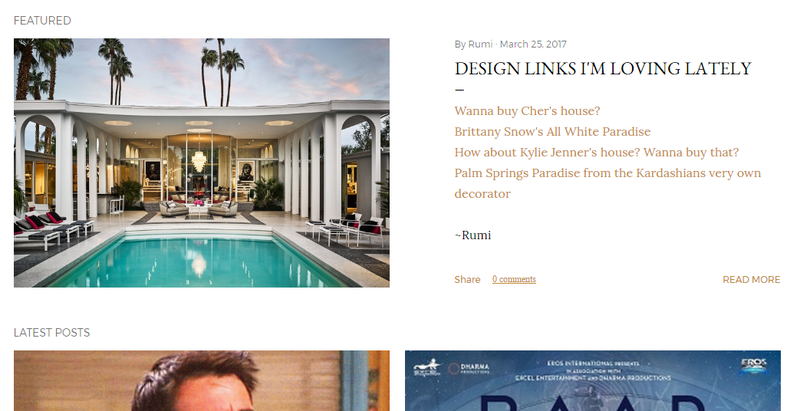 Though the Contempo theme is one of the prettier themes in the new line of Blogger themes, it only feels like for the above-the-fold content. The sidebar is a pull-out menu triggered by a hamburger icon on the left side of the page which overlays quite nicely over the content. For first-time bloggers, I would recommend the Contempo Blogger theme. I have been enjoying playing around with the new Blogger themes and as you may have noticed, we didn't take long to switch from our earlier Dynamic Views template (which we made awesome!) to one of the new Blogger themes. I hope this release marks the intention of Blogger to listen to their Blogger users more and make this platform truly the best blogging platform out there. A 50 Shades of Grey Bedroom? !